How does Santa get in a home or apartment with no chimney? He needs a magic key! At our house we do not have a fireplace for Santa to come down the chimney, and we can’t just leave the door unlocked! 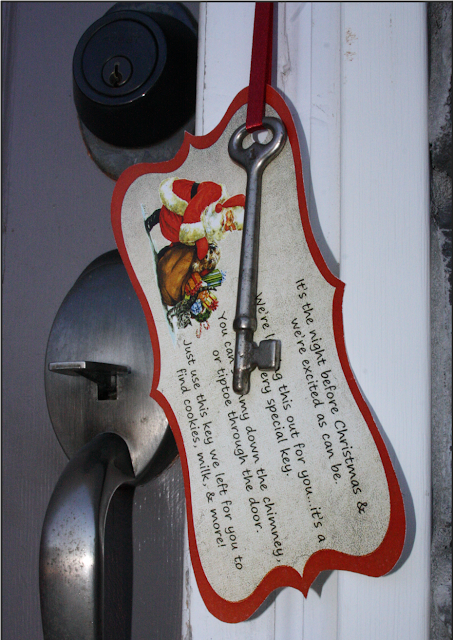 For the past 5 years I have hung the Santa Key that I made outside the front door on Christmas Eve so that Santa can get into the house and deliver his gifts. If you have a chimney, but are worried that Santa might not be able easily fit without getting stuck, this would also be a good alternative. I have designed a printable exclusively for Southern Holiday Life. You can download yours here. Enjoy! Hi I cant get the link to work?